When it comes to replacing the flooring of your commercial or office space, there are quite a few things to take into consideration. 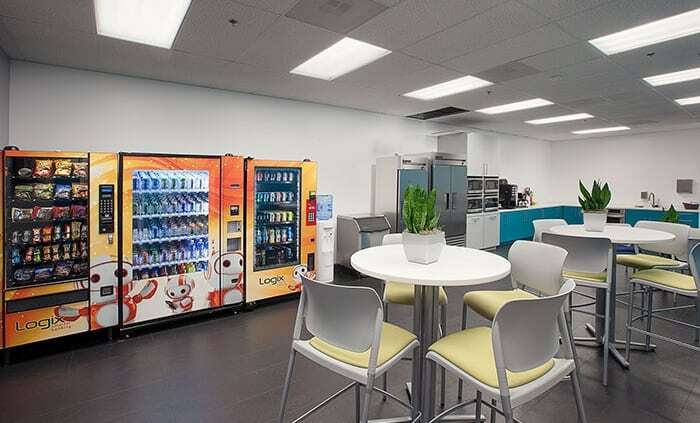 With such a variety of commercial flooring options available, thoroughly assessing your company’s culture and needs are the key to choosing the best flooring for your office space. But even then, it might still be a little tricky to decide, and it’s helpful to know what other companies have done. Here are some of the top commercial flooring trends of 2018. 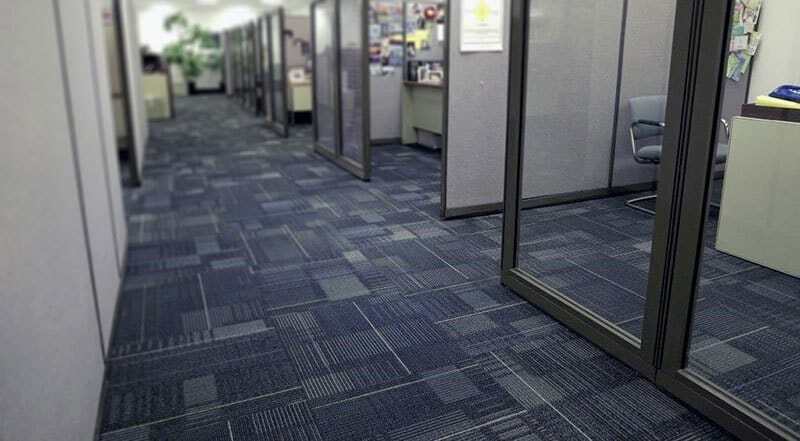 Within the commercial flooring industry, carpet still dominates the market due to its benefits. Unlike most other options, carpet reduces noise levels, insulates the office space, and adds soft padding to walk or stand on. Carpet and carpet tiles can be customized to fit any company’s vision concerning color and design. Another reason for its popularity is that carpet tiles are easily replaceable when stained. This allows business owners to save a lot of money in the long run. In retail or healthcare spaces, vinyl and VCT products are the most installed flooring products. Like carpet, vinyl can be customized to fit any vision, except vinyl may be harder to replace. It is, however, more durable when it comes to tearing and staining. This is usually the cheapest and the most low-maintenance option for business owners. A simple way to make an office or retail space stand out is incorporating bright colors and designs to the floor, walls, or ceiling. Bold colors like orange, teal, or neons, are great to add life to an otherwise neutral space without being too distracting. Design and colors can speak volumes about a company’s branding and lifestyle, and be an easy way to define an area. Many business owners are looking for the sustainable option for their commercial flooring. Being environmentally friendly is already a growing trend in all industries, so more business owners are dedicated to helping the environment in their office spaces as well. Although trends typically come and go, some trends are here to stay. Carpet and vinyl have been the most popular options for commercial flooring installations, and they still are dominating the industry. However, many business owners are embracing bold accents to their flooring design and choosing the sustainable option. Here at JKP Flooring, we know that choosing the perfect office space flooring can be a difficult decision. However, the design and installation process doesn’t have to be. We are here to help you choose a product, design the flooring, and install. 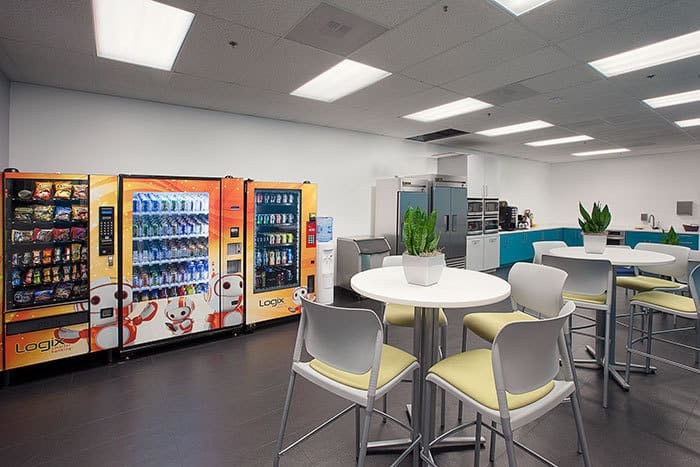 Replacing your commercial space flooring can be hassle-free with JKP! Give us a call today at (800) 500-5739 for a free estimate.